A short two-day sail this time. We had the same group of trainees on which was so nice as it meant we could build on the skills they already learned instead of starting fresh. Lake Superior lived up to its reputation of being a cold lake. The temperature has definitely dipped into single digits up here! Combined with a headwind it made for some cold times! For a while there was a wool blanket kept on deck to wrap up in when you were on lookout. Even with that it was chilly! 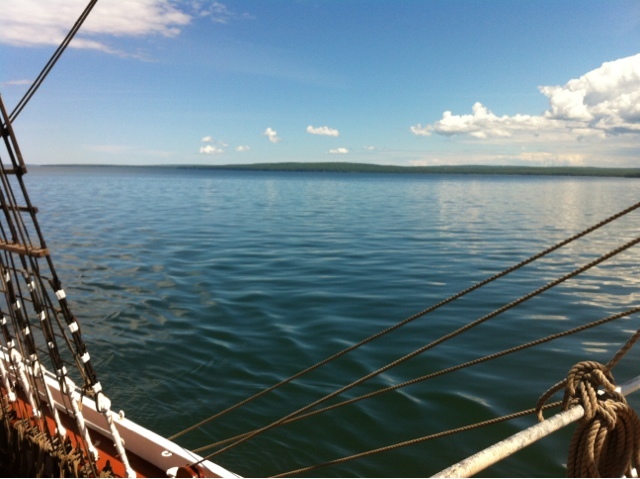 The second day the wind died down and we motored through the Apostle Islands. We anchored that night and had a BBQ and the Watch Olympics which are always an entertaining way to spend an evening. All in all a pretty uneventful sail/motor!